Halloween may not be until Monday, but this weekend the fun will already be getting underway with a variety of great Indianapolis Halloween things to do. 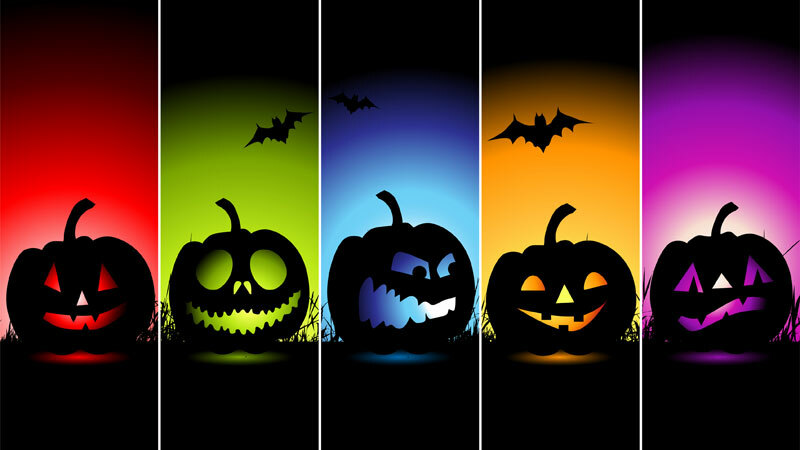 If you’re trying to get into the Halloween spirit (or you simply want to enjoy some time out on the town) why not check out the four events below? 1. The 70th Annual Irvington Halloween Festival. If you’re looking for a family-oriented event, the Irvington Halloween Festival’s 70 year anniversary should be just the ticket. Featuring pumpkin carving, a costume contest, ghost tours, a masquerade ball, a haunted puppet show, and much more, this spooktacular extravaganza is sure to please. The event will kick off with the popular Halloween street fair and parade on Saturday at 10 a.m. For more information, go to: irvingtonhalloween.com. 2. Harry Potter Live with the Indianapolis Symphony Orchestra. Throughout the weekend, the Indianapolis Symphony Orchestra will be holding six performances of The Harry Potter Film Concert Series at the Hilbert Circle Theatre. As the orchestra plays music from all three of the Harry Potter films they will be shown in the background on a giant 40-foot screen. For the devoted fan, this immersive Harry Potter viewing experience is not to be missed. To book your tickets, go to: indianapolissymphony.org. 3. The Haunted Hilbert Masquerade Ball (adults only). If you’re looking for a mysterious and romantic night out, the Haunted Hilbert Masquerade ball will transport you to a world of mystery and magic. This masked ball, which takes place at the Hilbert Circle Theatre Saturday night, is used to help fund the Indianapolis Symphony Orchestra’s various education programs. The ball will feature delicious food and drinks from the Weber Grill, Shoefly Public House, Barefoot Wine & Bubbly, the Sun King, and others. Attendees should arrive in costume at 7:30 p.m; for more information, go to: indianapolissymphony.org. 4. The Punch Bowl Social 90s-Themed Halloween Party & Costume Contest. If you’re a “90’s kid” looking for a fun way to experience your childhood cartoons all over again, head over to the Punch Bowl Social this Saturday at 8 p.m. for their 90s cartoon-themed Halloween Party and Costume Contest. The winner of the Costume Contest (to be announced at 1 am) will receive a $100 gift card. Other prizes (such as Colts and Pacers tickets, Harry and Izzy’s gift cards, Fogo De Chao gift cards, and an overnight stay at the Conrad Indianapolis) will also be awarded. For more information, go to: punchbowlsocial.com. If, like most people, you work during the week, the weekend is likely the only time you have to clean. Rather than getting behind on cleaning this weekend while you enjoy the festivities, why not ask us over to help out? We’ll be happy to stop by and clean your home or apartment while you’re out having a great time. Remember: There’s no contract required and no ongoing obligation—here at Deluxe Maid we gladly accept single cleaning appointments. Our flexible cleaning services will allow you to create a cleaning schedule that fits your busy life.